The Safco Two Drawer Vertical File Cabinet for Hanging Files and Hanging Clamps is a beautiful and practical storage option for a home or business office. With a neutral finish color of Tropic Sand, the unit will blend with most interior room decors. This file cabinet has the GreenGuard certification for low emissions of harmful chemicals. Designed for the ultimate strength, capacity and function for its size, the cabinet is ideal for file storage, and it ships ready for use. Vertical filing systems are widely utilized because they work so well for keeping papers organized and easily retrievable. In this file cabinet, the files hang and fit closely together to make the most use of the cabinets capability. Each drawer has a capacity to hold up to 70 pounds of weight. Because of its design and features, numerous documents in hanging files can be safely filed in this file cabinet. Because hanging clamps are excellent for holding up to 100 paper sheets, and they're easy to use. Smart presentations that have the right edge are simple to show with these strong gripper clamps that keep papers looking neat and sharp. This Safco file cabinet has room for 24 hanging clamps that measure 18 inches. The drawers also accommodate a combination of hanging file folders and hanging clamps. Convenient storage in a heavy-duty lockable cabinet, this unit will fit under a desk or beside it for easy access to stored files and hanging clamps. Confidential papers are easily kept under lock and key. Both drawers are locked together with the same key. Because of its two-drawer size and sturdy-build, the Safco Two Drawer Vertical File Cabinet for Hanging Files and Hanging Clamps is easily portable, and the steel construction ensures that it should last through moves and years of normal use. There's no reason not to have one! The adjustable ruler is a an essential tool for the tenacious student, experienced architect, or the professional engineer. The Acu-Arc adjustable ruler is the most popular and is multi-functional. Fortunately, with this tool, it is no longer an obligation to use only the expensive pre-packaged curve sets or beam compasses. These items limit you to the sizes that come with it. With the ingenious adjustable ruler design, and it's easily adjustable functions, consumers have limitless capabilities. You can choose to measure in either inches or centimeters. The versatility is phenomenal, and the best part, its affordable price tag! One purpose of the adjustable ruler is to assist an individual in determining the radius of an existing curve for dimension drawings. The ruler can be purchased in inches or centimeters, depending on your need. The tool is able to be adjusted to any radius between 6 3/8 inches and 200 inches. The metric equivalent is 17cm to 500cm. An individual can also use the Acu-Arc to find the center lines and center points of an item or drawing. With drawings, it determines what the curve must be to fair in existing points, or lines, on a drawing. These different variations can be used to assist the craft of architects, engineers, and novices alike. The most commonly used are the adjustable straight and circle ruler. These two are easily flexible with the regular drawings that are mainly created and help with drawing clear circle or straight lines. The purpose of the adjustable square ruler is to mark 90 degree angles or mark even lines. The hook ruler is perfect for using when measuring off the edge or end of a table or flat surface. Individuals can get precise and exact measurements every time. The difference between the ruler that is adjustable and a plain ruler is the capability to use it for multiple projects that may call for different sizing. Allowing the individual to go from smaller to bigger sizes can be really beneficial. 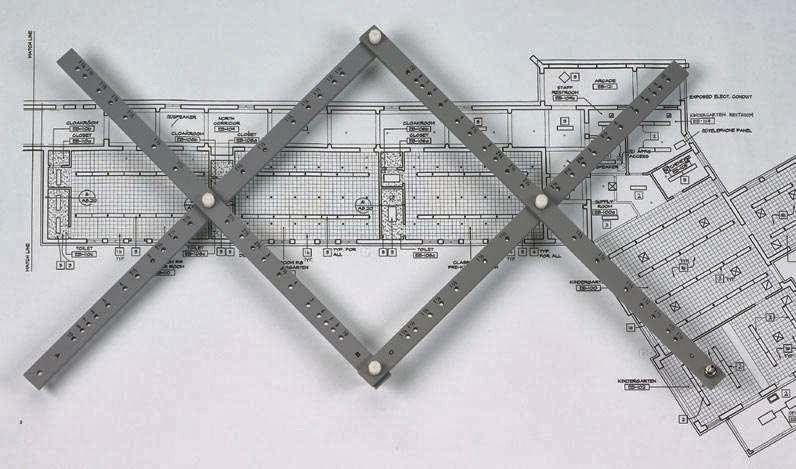 So, whether it is used by the architect who's creating a new building, or the engineers blueprint for a new machine, these rulers are essential tools for success. The need to by multiple rulers with different sizes will no longer be necessary. Multiple sizes will be readily available when purchasing rulers with adjustability. These items can be found easily online or in art stores and vary in price depending on the size, material it is made of, and variation. No matter the use, these tools are game changers for those who use them. With Christmas just around the corner there are a lot of people scrambling for just the right gift. Waiting to the last minute can mean increased prices, long lines, and a lot of additional holiday stress that shoppers just don't need to deal with. For those who are shopping for drafters though, there's one gift that will always be well-received. That gift is Mylar sheets. When a drafts-person sits down to work out a new design they don't typically use paper. While paper is still a viable material, it's also fragile, doesn't hold up well in heat or damp, and it can be easily torn or destroyed by revisions that the drafter attempts to make. This can lead to the entire project needing to be started over again. Mylar, on the other hand, lacks most of these structural frailties. It's durable, tough, can hold up to erasing and revising, and most importantly of all it doesn't tear anywhere near as easily as traditional sheets of paper do. Mylar is, however, more expensive than paper. That's what makes it such a great gift. Mylar film comes in a wide variety of thicknesses, sizes, and even transparency levels. All of those things have to be taken into consideration when it comes time to pick a pack of sheets for the drafts-person on one's holiday list. These sheets are available with a matte finish, or in many cases with a double matte finish, and they can be used with laser or inkjet printers depending on the specifications for the particular sheets. Given that they're made from a polyester blend, these durable drafting materials can be just the thing to brighten a draft person's Christmas holiday. Mylar film, much like everything else, can be found on sale during the holidays. For those who are looking to get a deal on these materials for a loved one, it's a good idea to start looking early and to watch for the most attractive price. In addition to holiday prices, many merchants may offer a bulk discount to those who buy Mylar in a large enough quantity. There are a lot of options, depending on a person's pocket book, as well as the amount and type of drafting film that individual intends to buy. These decisions shouldn't be made rashly, and under no circumstances should they be left to the last minute. Otherwise someone could spend far more than necessary. Marketing tactics and promotional programs, decorative themes and simple interests in movies and music can change with time. Different seasons bring about different ideas, imagination and creativity evolve as people do and one favorite band or film gets replaced by another. Change is inevitable and should be welcomed, but always there comes a time when returning to what once worked and what is familiar is just as welcomed. Whether in business or at home, it is important to hold onto items of the past as they just might become necessary or desired in the future. Printed signs and posters are a key element to a company's advertising success, and often themes will be repeated for certain occasions, holidays or sales. With the right tools for poster storage, it is possible to organize and keep those signs in good and reusable condition, which will save the company money and offer the customer with a familiar message and atmosphere. Poster storage can be just as useful in the home as it is in business. Parents decorate a nursery with images appropriate for a baby. As their children grow the decor changes, and by the time they are teenagers, the kids are determining for themselves what goes on their walls. The teenager's favorite band, movie or sport's team can change frequently and parents get stuck with numerous posters cluttering their home, either crammed under beds and/or rolled up with rubber bands in closets. Though it is tempting to simply get rid of them, it is also understandable that letting go of the old can be tough. Finding a way to store posters allows for children to hold onto their past. It allows parents to hold onto their clean and organized home, and provides both with an opportunity, outside of family photos and other mementos, to view the consequence of time. Families, businesses, nonprofit organizers, teachers and more can benefit from safely storing for the moment, unneeded posters. By taking advantage of the tools used by drafting professionals who must organize and protect drawings, blueprints, maps, plans and more, you can preserve your investment for the future. Keep your posters clean and in good condition in roll files. They come in many different sizes and shapes. Choose either stationary or mobile roll files depending on available space, needs and personal preferences. In the current economic conditions, saving every dime possible is important, but what might be more important still, is saving memories, messages and interests of the past. Have a drawing that's too big or not big enough? 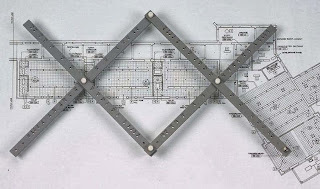 Than get a pantograph drawing tool to create the size needed! They are so easy to use that a child could create beautiful drawings. It is designed to make perfect copies of drawings. There are endless hours of fun to be had when drawing with a pantograph. Pantographs come with a table anchor and clamps. To enlarge or minimize any drawing; examples are a hand drawing, an image from a magazine, a printed image, a design or logo. People can also use a printed photo but it's recommended that the photo be a copy of a photo and not the original. Then, with the copied photo, one could trace the image and have a drawing version of it. Let's say an aspiring artist sees a cool drawing or image from a magazine that is really small. The goal is to make this image bigger. So they pull out their pantograph and figure to use it to increase the size of the image. Place the lead and the thumbscrew in the proper measurements to enlarge the image. Begin to trace everything you want to see in the new copy of the image. It's not difficult; just make sure the hand is slow and steady, especially if this is the first time attempting to use this tool. Before hunting for a pantograph drawing tool, everyone needs to know not all pantographs are good quality. There are some plastic ones and they don't deliver good quality. They tend to be more flimsy and can create a poor image. Wood and metal ones are better and more expensive than the plastics, but well worth it if it's a clean, crisp and accurate image that is desired. A pantograph can be great for artist, inspiring artist, children learning to draw and scrapbook makers. Virtually anyone can find enjoyment out of using a pantograph. So find one and start using it today! The more it's used, the better the outcome and the easier it is to use. When it comes time to ship important paper documents that are too big for traditional envelopes, the best way to get your items shipped are by using cylinder shipping tubes. These tubes come in a variety of sizes and materials to ensure that no matter what you are shipping, it will arrive safely at its desired location. These cylinders are extremely durable and are each designed to handle a specific type of item. Here are just a few of the uses of the cylinder shipping tube. Many businesses on eBay who deal with posters use these tubes to ship their products to their customers. Posters have been around for over a century, and many of the older ones are extremely valuable and very sensitive to the elements. They become brittle and if not shipped correctly can become damaged in transit. The cylinder shipping tubes provide poster owners the ability to ship any size poster to anywhere in the world with the utmost confidence that nothing with happen to the precious cargo inside. These tubes are made of a durable plastic that can absorb the bumps of long distance transit and not cause any damage whatsoever to the posters inside. They have been a preferred shipping choice of the top sellers on eBay for over a decade. When it comes to shipping maps and blueprints, these items are much too large to be folded and dropped into an envelope. There are specific cylinder shipping tubes that are large enough to handle the largest of blueprints and not cause any damage to the paper. These cylinders are telescopic and can expand to the correct sizes needed to allow the paper to sit inside the tubing without causing wrinkles, creases or tears to the paper. Many companies that produce the blueprints and maps purchase an abundance of these tubes to use as storage containers for the products. These items can be very large in size and would simply take up too much space in a filing cabinet or drawer. The cylinder tubes allow the company to safely store all their documents so they can be easily found when the time comes to ship them. Artist also have found many uses for these shipping tubes. When prints need to be shipped worldwide, it is much safer to have the artwork in a waterproof plastic container that can withstand rough handling. These pieces of artwork must travel long distances and arrive in the same condition in which they left the artist’s hands. The ability to store extra prints in the tubes provides more space in the gallery for the artist to work on their other projects. So it doesn't matter if you are storing important documents and artwork, or shipping your posters or blueprints around the world, the cylinder shipping tube is a great asset to many business owners. You can choose from a number of different sized tubes, a variety of colors and either plastic or corrugated cardboard to place your valuable papers in. With these many choices there is certain to be a shipping tube that meets your demands.